Devices in the TransSteel Multiprocess series can perform all three MIG/MAG, TIG and SMAW welding processes to a high standard. 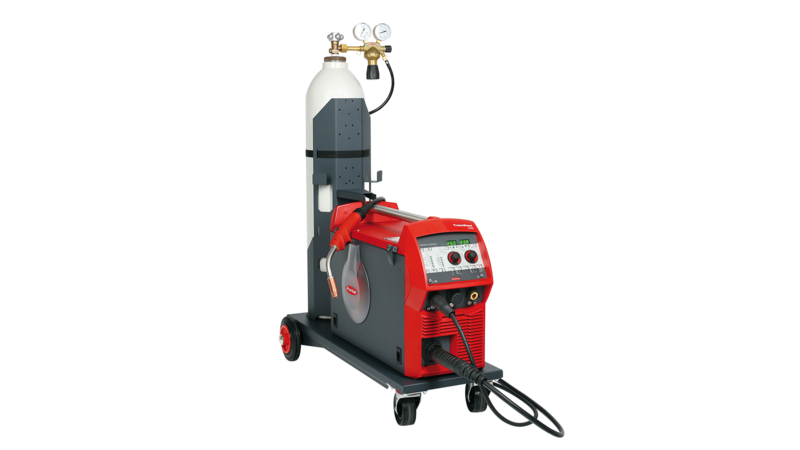 Whether on a construction site or in the workshop, the welder always has flexibility and is equipped for a range of applications. Like all Multiprocess welding systems from Fronius, the TransSteel 2700 is ready for use in just three steps: select the wire, wire diameter and gas and start welding. You can switch between the individual welding processes in 60 seconds. In addition, the TransSteel can be used as a single-phase device up to 220A (TIG).